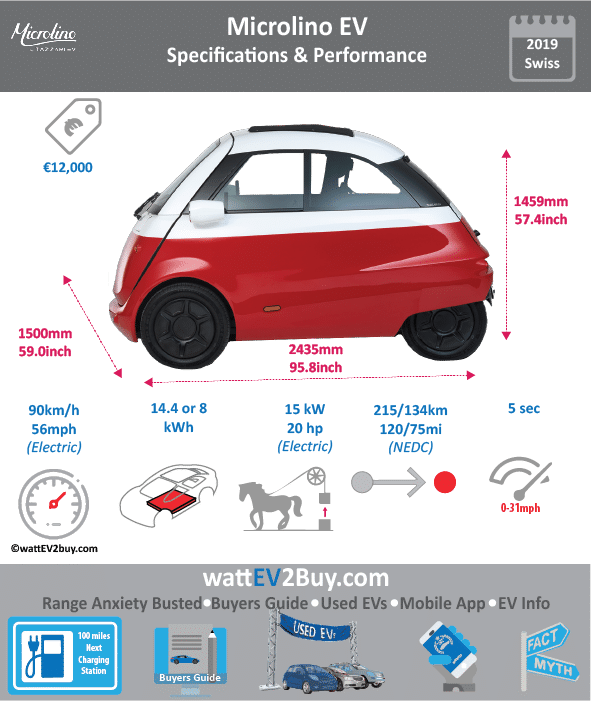 wattev2buy explores the Tazzari Microline EV specs, range, price, battery, charge time, and pictures as it vies for a position in the growing EV market. Tazzari and Micro partnered in the development of Microline heavy quadricycle (EU L7e) in 2016. Micro is a developer of electric scooters. The Microline is destined for release in Switzerland in early 2017 followed by Germany at a price of around €12,000. The Microline EV is available with two battery options, an 8kWh with a range of 120km/75miles or a 14.4kWh reaching 215km/134mi. Go to our detailed breakdown of Global EV Sales to see how the Microline EV fares to its competitors in the fast-growing EV market. Minicars are very popular in China and Europe where models such as the Baojun E100 and Renault Twizy perform very well. Chinese consumers have a wide range of choices when looking for a micro-car for city use but in Europe, buyers can only choose between the Tazzari Zero, smart ForTwo ED since and Renault Twizy. 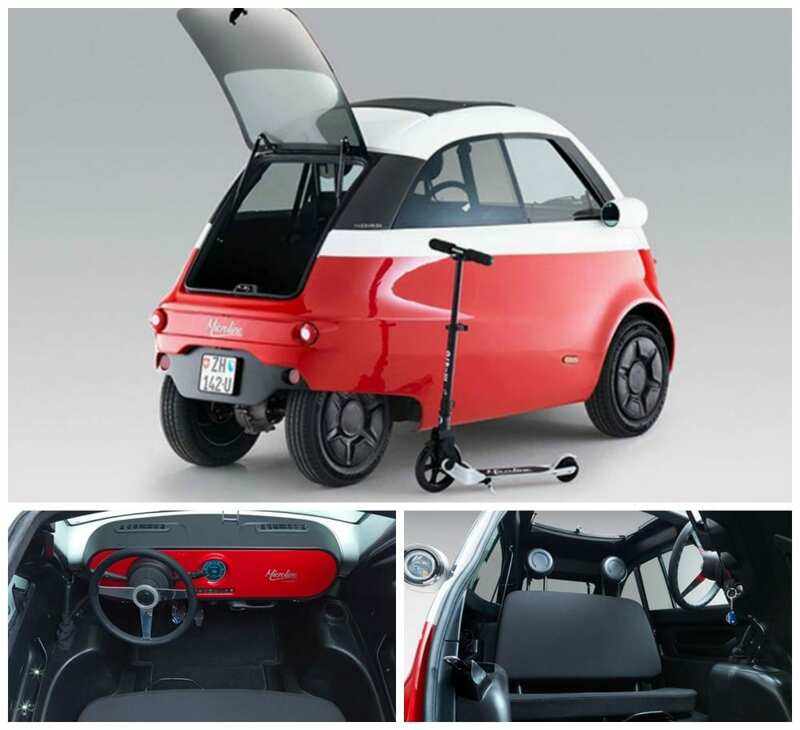 In 2015 the electric scooter company announced the development of the Microline microcar and entered into a 50/50 JV with Tazzari in 2016 to make it a reality. Late July 2018 the Microline heavy quadricycle passed its final tests for the EU homologation making the little EV street legal in Europe. The Microline looks like the BMW Isetta produced from 1953 to 1961. The Microline will enter production in December 2018 and be available in eight colors, Zurich Blue, Milan Red, Amsterdam Orange, Paris Green, Barcelona Brown, London Grey, Gotham Black and Vienna White. The little electric car will be released in Switzerland followed by Germany in early 2019. Pricing for Tazzari Microline is expected to be around €12,000, which is much higher than the Renault Twizy started at a price of around €8,000 albeit with a smaller battery achieving a range of 80km. The Microline is 100mm longer than the shortest EV the Twizy and 50mm shorter than GM’s Baojun E100.